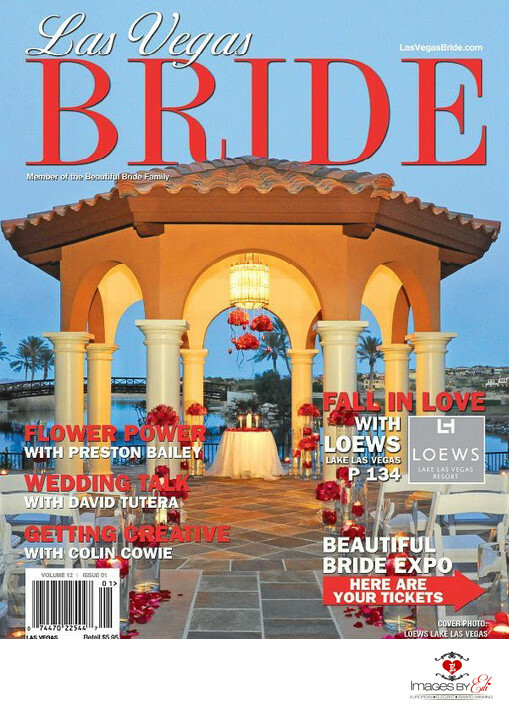 Westin Lake Las Vegas Resort Andalusian Gardens gazebo on the cover of the Las Vegas Bride Magazine. The magazine is the member of the Beautiful Bride family publications. The image was taken during a photoshoot for the hotel by Images by EDI, Las Vegas Wedding Photographers at the golden hour.